I am participating in the Walking With You series that Kelly from Sufficient Grace Ministries is hosting. To see all my posts for this series, click here. Share about your first steps back into life. What helped you survive in the world outside as you took those first tender steps? Are there still tender areas for you today, living in a world that doesn’t embrace or understand the loss of a baby/child? How do you cope with those struggles? What advice would you offer those new to this walk to encourage and bring hope? How has this changed for you from the beginning? If you are in early grief, what do you fear/struggle with as you try to navigate a new normal...life without your baby? Something that was really difficult for me stepping back into life was how everyone so soon seemed to move on and forget Lily and the great loss I had experienced. 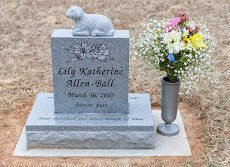 I remember seeing several of my family members just about three months after Lily's Memorial Service and nobody mentioning a word to me about her. Nobody asked me how I was or said they were thinking about me or her. Hardly anyone in my family remembers or recognizes Lily on her birthday each year and that has been extremely hurtful. As if she wasn't even real. Would they not remember her special day if she were alive? No, that is silly...of course they would. Well, she has the same importance living in Heaven as she would have had living on earth. And my mother love is still the same and didn't die the day she did. Lily is loved and missed and deserves to have her name spoken. She has a beautiful legacy and I know she is important to the Lord. My encouragement to others who feel as if others are forgetting is to remember that our Heavenly Father never forgets. He adores each of our precious babies. And He always remembers them and us. Remember, He sees our tears. And we will never forget, never stop loving, never stop missing and when it comes down to it...that's what matters. Try to keep in mind that most people have good intentions, they just don't know how to act or what to say to someone who has lost a baby. The truth is, it isn't a much-talked-about topic and many people feel uncomfortable with it. I also believe that because abortion is an accepted part of the American culture today, when "wanted" babies die, it doesn't seem like a bit deal. The way people view precious unborn life at its most innocent form is very sad. 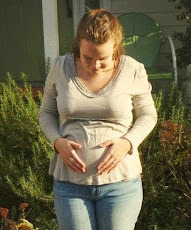 While I was pregnant with Lily, I started this blog, back in October of 2009. 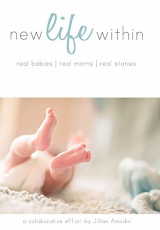 It was meant to be a place to chronicle my pregnancy, share my Pro-Life testimony, and eventually document Lily's life. 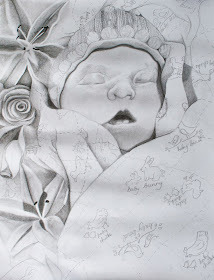 Just 13 days after losing her and embarking on my grief journey, I wrote that first post that would embark me on my babyloss blogging journey. I haven't looked back since. It is coming up on three years since I started blogging about loss, grief, and healing. At times, I have been more active in my blogging than others. But, I can honestly say that sharing my heart here has been one of the greatest instruments God has used to heal me, besides Himself. I have always felt this is my safe place, where I am free to write whatever I am feeling. I've chosen to keep it public for anyone to read, which at times is quite intimidating. I have thought about going private and choosing to invite who I want to have the access to read my heart on a screen. But, I feel God has wanted me to keep it public...to give a voice to the unborn, women affected by abortion, women in unplanned pregnancies, and those affected by stillbirth and babyloss. God has blessed me so much in my sharing and through reading others blogs. It has been such a wonderful community to be a part of, with people that "get it," at least more than most others do. It has been so encouraging to read the blogs of other women who are farther along in their grief than me and it has been a blessing to be an encouragement to other women who are not as far along in their grief as me. In the early stages of grief, I would pour over so many blogs and it was so comforting to my heart. I knew I wasn't alone in my thoughts and feelings. I see my blog as a living memorial. I recommend writing down your thoughts, feelings, and journey, whether through a public or private blog or in a journal. It is amazing to look back and see how far you have come in your grief and also to see the faithfulness of God to carry you through! I have found that just writing out my prayers and feelings has been a great release for me. 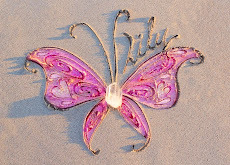 I write on my blog, but also in private letters to Lily or in journals. I recommend doing that as well. It is special to look back and see exactly how I was feeling on certain days, such as Lily's birthday, Mother's Day, or Christmas. 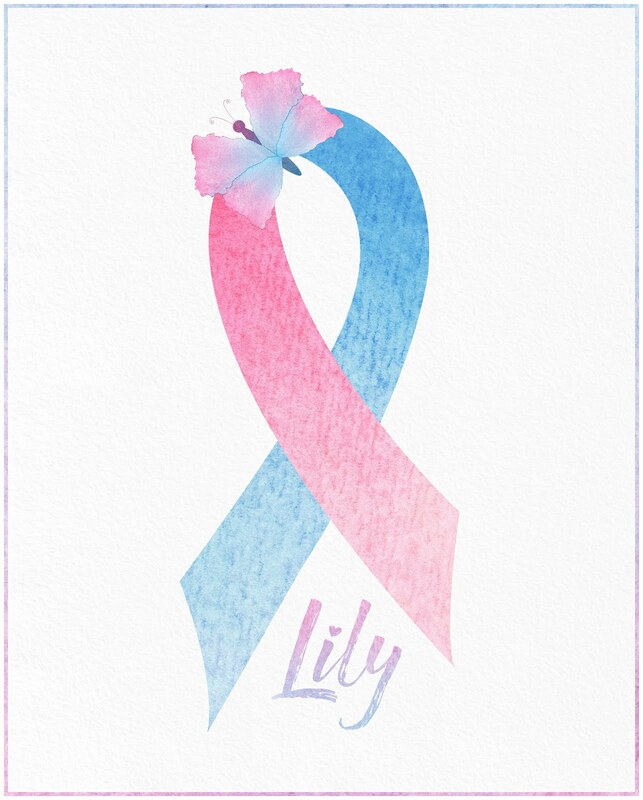 About a month after losing Lily, I started going to a local Pregnancy and Infant Loss Support Group twice a month, which was really helpful for me at the time I needed it. I rarely missed a meeting. I haven't been to a meeting in over a year because I am just in a different place now. But during all those months I went, it was so helpful. I looked forward to those meetings where I knew I could open up and be honest, cry if needed, and share my heart. For those of you who are new to this journey of loss and grief, I recommend getting plugged into a support group in your area. It is not for everyone, but it helps a lot of people to connect with others who have been through similar losses. It wouldn't hurt to try. Connecting with others who "get it," both online and "in real life" have blessed me so much on this grief journey. I also recommend finding a group that is Christian-based because it really does make a big difference to be connected with people who have the same hope and faith in Jesus. If you can't find a local support group or even if you do, there are also lots of great places online to get involved in, such as the Anchored By Hope Online Bible Study, the Illuminate Photography Course, among many other amazing things that you can find here under "Things to Participate In." There truly are so many ways to get connected and so many amazing places that lovingly serve the babyloss community. I have also discovered that finding ways to honor and remember my babies is very healing. I don't have any living children on earth, so the only motherhood I know is mothering my two babies of Heaven. Honoring them by getting special memorial items, speaking in front of big and small groups, writing, participating in walks, balloon releases, candlelight services...doing everything I do for them is so special and healing for me as a mother. It brings joy to my heart to do things for my babies. It is a precious reminder that I do these things because they lived and they will live forever in my heart. I suggest finding things you can get as a memorial to your babies. Find things to do to honor them. 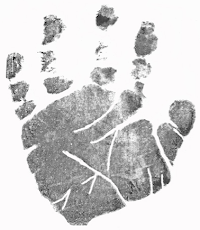 I have ideas for how to honor and remember your little one here. 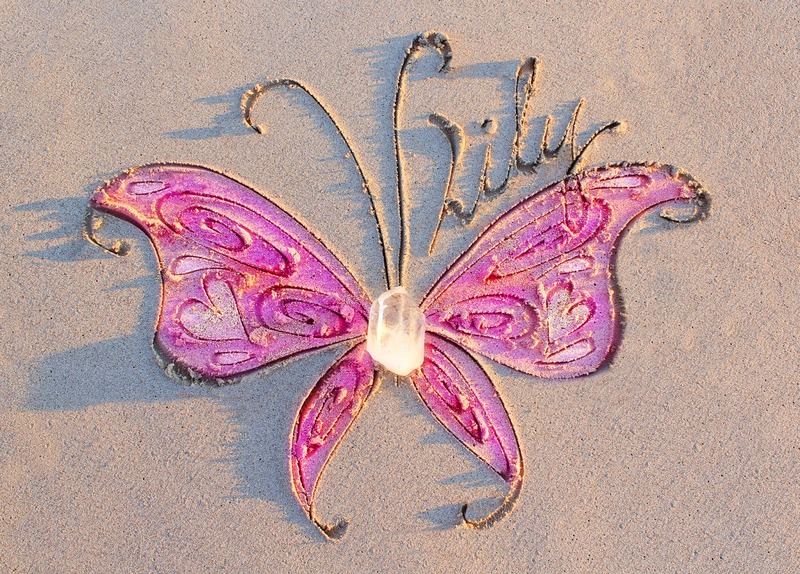 Something as small as getting their name written on the shore in Australia can be so healing and comforting! Stepping back into "real life" after losing Lily was really tough in many ways. For a long time, it was hard to see pregnant women, hard to hear pregnancy announcements and see birth announcements, hard to hear women complain about pregnancy symptoms, and hard to see picture updates and hear things about children growing up who would be about the same age as my Lily. My advice: Do whatever you need to do to help ease the ache a bit. If you are on facebook and find this to be the place where you are bothered the most by these sort of updates, block updates from that person. And don't feel guilty about it. Do whatever you need to do to heal and minimize the "triggers." Memorize Scripture that you can recite in your head or out loud that will comfort you when you see those pregnant bellies or newborn babies, knowing that should be you. It gets much easier as time goes by, but at least for me, it has never quite disappeared. Mostly, be gentle on yourself as you step back into life. This is something you will carry with you the rest of your days on earth. The Lord will hold you and show you how to handle everything. It seems like you are really putting everything into this series. That is amazing. Your post made me cry. I can't imagine feeling that way. You are right. People don't know what to say, but I know it still has to hurt when they don't say anything at all. They just move on. Your 13 days post also made me cry, more. You are going to be a great Mom to your future kids, just like you are to Lily and Luke. Lily has really taught you to cherish good moments it seems, and that is so important. Most people don't learn that for a long time. It has been a pleasure waking with you. I am so encouraged by your love and commitment to Jesus. Thank you for being so real and honest with us. YOU are A blessing! Thank you so much for Walking through the series with us. You are an encouragement and such a blessing. I love finding ways to honor my Tossie, but lately I have been feeling like doing that means I am doing something wrong. So, I tried stopping than I realized that not making memories of her was making life unbearable. God gave her to me to love and if items or photos help than I should! I have been struggling to find a Christian Support System... i hope to find one. Much Love, Hugs and Prayers for you <3 Thank you for sharing! Great post :) i always love how you intricately weave love and the Lord into your words. I think you are right about our society. The value on the smallest human lives are deemed insignificant. I hope one day it will change. Great list of options for mother's facing a "fresh" loss. In the early days, I often felt like people had expected me to get over it too.... like it was the flu. ;) ...... Impossible! I think it's like an elephant in the living room. Everyone is thinking about it, but refuses to bring it up. Which leads me to believe just as you said, people are so used to abortion taking place, as if it okay, loosing a "wanted" baby, doesn't seem like such a loss. Thank you for this post! You always find the best scripture to go along with what you are writing about, and it is refreshing to read blogs from someone so close to God. I have so often been told, "Jesus doesnt want you to cry", or, my favorite, "It hurts your walk with Christ when give yourself over to grief." Well, cripe. Maybe He should have let me keep my daughter! We are put through these trials to help us draw closer to Him, and as you pointed out WITH SCRIPTURE, we are expected to mourn, to cry, and to cling to Him. Such a great post, Hannah! Thank you so much for sharing your wisdom, God's love and grace, and so many other resources! I have truly enjoyed each of your posts that I have read, and I cannot wait to read more!